The U.S. Open begins on Thursday from Erin Hills in Erin, Wisconsin. On Thursday, Erin Hills golf course in Erin, Wisconsin will host the toughest of golf’s four majors, the U.S. Open. The course has thick brown rough surrounding fairways and greens and hole yards from 165 to 663. The state of Wisconsin is known for having challenging weather conditions to live in and play sports in. Wisconsin has a rich sports history that begins with the Badgers and continues with the Packers. Much like the Erin Hills golf course, some of the most challenging and exciting sporting achievements and events have taken place in America’s Dairyland. In early September of 2008, Category 4 Hurricane Ike struck Houston, Texas and is the third costliest hurricane ever in the Atlantic. The Hurricane forced the Houston Astros and Chicago Cubs to play a two-game series in Milwaukee’s Miller Park. The uniqueness of the Cubs-Astros neutral game increased when Carlos Zambrano threw a no-hitter. 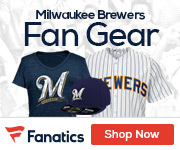 Who would have thought the first no-hitter thrown at Miller Park wouldn’t be thrown by or against the hometown Brewers? ​Camp Randall Stadium stands as one of the oldest and most historic venues in the whole state of Wisconsin. One of the first memorable games in Wisconsin Badgers history came in 1928 against the Notre Dame Fighting Irish. Coached by Knute Rockne, the Fighting Irish were considered the premier program in the country. Camp Randall’s grass wasn’t mowed for a week and it is rumored Wisconsin’s coach Glenn Thistlethwaite demanded this to slow down Notre Dame’s players. The Badgers were no slouches as they beat the sluggish Irish 22-6 in what is now known as the “Tall Grass Game”. Whistling Straits Golf Course in Kohler/Haven was the sight of the 2015 PGA Championship. This would be the 3rd PGA Championship at Whistling Straits and it brought history. Australia’s Jason Day had been blossoming into one of golf’s next superstars and he delivered by winning his first career major. Day’s incredible and dominant performance over the weekend is the best in major history by shooting 20-under par. 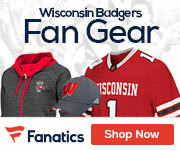 The 16th-ranked Badgers continued their 2010 campaign hosting the top-ranked and heavily favored Ohio State Buckeyes. Wisconsin started the game off straight from kickoff with a 97 yard runback from David Gilreath to get an early lead. Wisconsin eventually won the game 31-18 and it helped propel them to the Rose Bowl. Most Packers playoff games are remembered for their abnormally cold temperatures. Green Bay’s 2004 Wild Card Game against the Seattle Seahawks was unseasonably warm (20 F) and ended in a manner as odd as the temperature. The overtime coin toss was won by the Seahawks and quarterback Matt Hasselbeck famously guaranteed “We want the ball, and we’re going to score.” Someone did score on the first drive, it just wasn’t Seattle. Hasselbeck threw an interception to Al Harris and the Packers won the game 33-27 in overtime. Milwaukee welcomed baseball’s best and brightest stars for the 2002 All-Star Game. The 1st inning had one of the best plays in All-Star history with Torii Hunter robbing a Barry Bonds home run. Bonds famously ran into centerfield and picked up Hunter over his shoulder to walk him off the field in a playful manner. At 7-7, the game went to extra innings and by the 11th, both teams ran out of pitchers. This led to commissioner Bud Selig calling the game in a tie. In order for this to never happen again, the MLB began to award home-field advantage in the World Series to the All-Star Game winner. The Badgers basketball team of 2012-13 provided one of the best buzzer-beaters in big ten history. The 3rd-ranked Michigan Wolverines came to Kohl Center looking for an important conference victory and it seemed certain up by 3 with 2 seconds left. 2 seconds was all Ben Brust needed to hit a half-court buzzer-beater to send the game into overtime. Wisconsin would win 65-62 over Michigan. The 1967 NFL Championship Game was played between the defending champion Green Bay Packers and the Dallas Cowboys. The weather for this game was an insane -15 with a wind chill of -44. The conditions were brutal and the game was hard-fought. 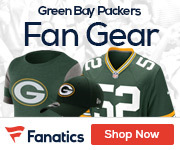 The Packers would win from a late quarterback sneak from Bart Starr and claim the NFL title. The Ice Bowl is one of the greatest games in football history and gave Lambeau Field and Wisconsin the reputation of being a frozen tundra.